Called Restaurant WordPress Theme, Restaurant is completely suitable for all type of restaurant such as European restaurant, Asian restaurant, Barbecue restaurant, buffet restaurant or even Fast-food restaurant. 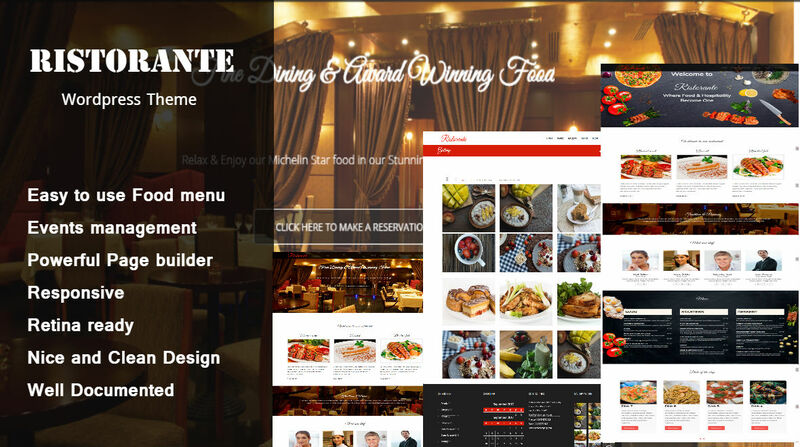 With Restaurant, you can create not only restaurant site but any kind of website! Restaurant – Restaurant Wordpress Theme is a responsive and flexible multipurpose WordPress Theme with a clean and beautiful design. It is the perfect solution for any website. Restaurant comes with lots of awesome features. We’ve highlighted its main features below. Check them out to see how awesome Restaurant is. And don’t forget to check our live demo to see restaurant version of Restaurant in action.